Weaving together elegance, delicacy and femininity, Carolina Herrera has defined a graceful aesthetic that is all her own. Born into an aristocratic family, Herrera s fashion sensibilities developed at the age of 13 when she attended her first fashion show. 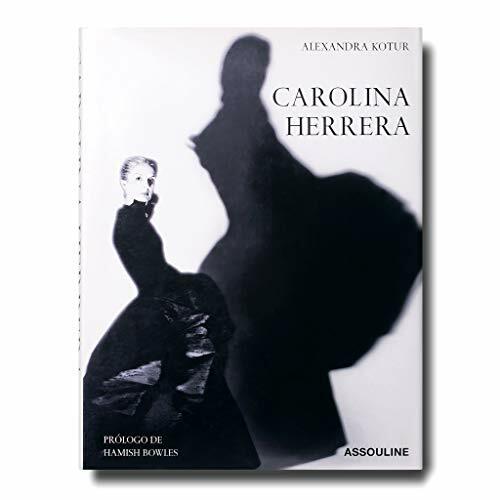 From her emergence as a renowned beauty surrounded by royals and artists like Andy Warhol, to being known as the woman who dresses women who know how to dress, Carolina Herrera has established herself as a fashion icon.<br /><br />Through the celebrated photography of Annie Leibovitz, Francesco Scavullo, Horst, Robert Mapplethorpe, and Mario Testino, as well as the words of friends, colleagues, and admirers sucg as Calvin Klein, Ian Schrager and Bianca Jagger, among others, Carolina Herrera is a portrait of one of today s most timeless designers. With an introduction by Hamish Bowles, this book tells the story of one of fashion s most remarkable women. Alexandra Kotur is a senior features editor at Vogue, where she develops feature stories and works closely with photographers such as Annie Leibovitz, Jonathan Becker, and Steven Klein on portraits and major portfolios for the magazine.